Arnold Schwarzenegger is coming to NBC. 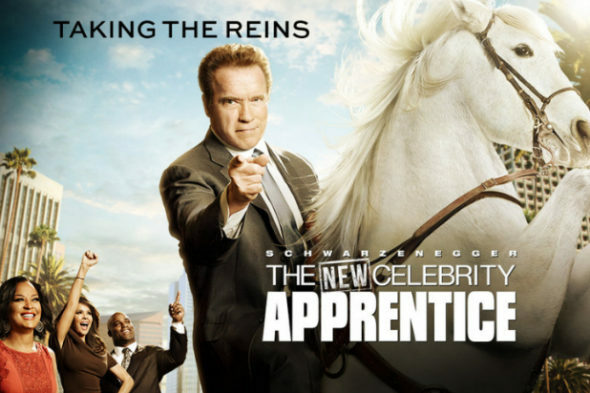 This week, the network released the premiere date for The New Celebrity Apprentice, The Wrap reports. The updated show will be hosted by the former California governor and feature new boardroom members Warren Buffet, LA Clippers owner Steve Ballmer, Tyra Banks, Jessica Alba, and entertainment lawyer Patrick Knapp Schwarzenegger. In addition to moving to Los Angeles, the new celebrities on Celebrity Apprentice will include Laila Ali, Brooke Burke, Boy George, Jon Lovitz, Vince Neil, and former Jersey Shore star Nicole “Snooki” Polizzi. The New Celebrity Apprentice premieres on January 2nd, 2017 at 8 p.m. ET/PT. What do you think? Are you a fan of Celebrity Apprentice? Will you watch the rebooted series? More about: NBC TV shows: canceled or renewed?, The Celebrity Apprentice, The Celebrity Apprentice: canceled or renewed?, The New Celebrity Apprentice, The New Celebrity Apprentice: canceled or renewed?